Under fire after residents and preservationists learned of his intention to demolish two historic stone houses in Woodberry, developer Chris Mfume today presented a new plan that preserves the structures, incorporating them into the body of a planned apartment building. “We found out in a rather unfortunate way that some of the historic stone buildings are important to the community,” said one of the project architects, Pavlina Ilieva, of PI.KL Studio, presenting the schematics to the Urban Design and Architecture Advisory Panel (UDAAP). Before her remarks commenced, it was announced that Ilieva, who chairs UDAAP, would recuse herself from any actions on the project. Rather than raze the two buildings, the four-story, 60-foot tall, 80-unit Woodberry Station project would wrap over and around the structures, architects Ilieva and Kuo Pao Lian said. All four walls of the two old building, which date back to the 1840s, would be preserved, the panel was told. Drawings showed the stone fronts of the buildings (3511 and 3523 Clipper Road) visible from the street with their gables and small third floors essentially lopped off. The panelists had some design critiques but generally praised the new concept, saying it meshed well with the community’s historic character. “I don’t think this is out of character. . . It’s a win!” crowed Baltimore Planning Director Tom Stosur. Neighbors, who have spoken out against the razing of the buildings, said they were happy to learn that they appear safe under the new plan. “This is huge, it’s great news. I’m so thrilled they’re leaning towards not tearing them down,” said Jill Orlov, after learning what the developer presented. But Orlov, who lives a block and a half from the site, was one of several people from this quaint corner of North Baltimore who remained concerned about the scope of Mfume’s plan. 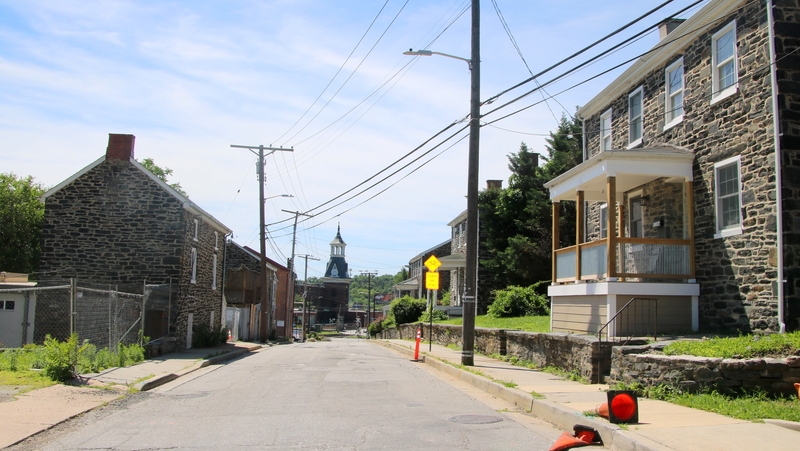 “I still don’t see how this project is going to go forward,” said Gregg H. Zoarski, owner of an old brick building he restored just down the hill, adjacent to the proposed “Woodberry Station” site. Orlov said she likes the idea of encouraging the use of transit (that’s part of the developer’s concept, given the project’s proximity to a Light Rail stop and two bus lines). But she questioned whether that goal would be achieved. Speaking with reporters afterwards, Mfume talked about two other options his team contemplated. Removing the buildings completely was “the most cost effective version.” Despite the extra challenges created by keeping the old structures, “by doing so, we created an even better project,” he said. Mfume declined to give a cost estimate or to say how much ground floor retail space the new building would have. 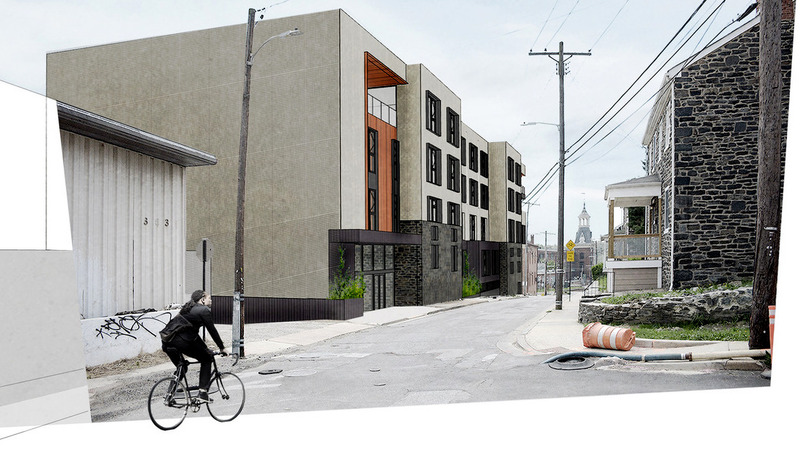 Other elements of the project, he said, remain as he has previously described them – the 80 apartments would be primarily studios, renting for $1,100 to $1,300 month, offering a less expensive alternative to the luxury apartments elsewhere in Clipper Mill, he said. There would be 22 parking spaces provided in a space under the building, Lian said. UDARP members offered ideas for improvement. Osborne Anthony pointed out some “quirky” features, such as the uneven line separating the tops of the stone houses from the bottom of the new structure. 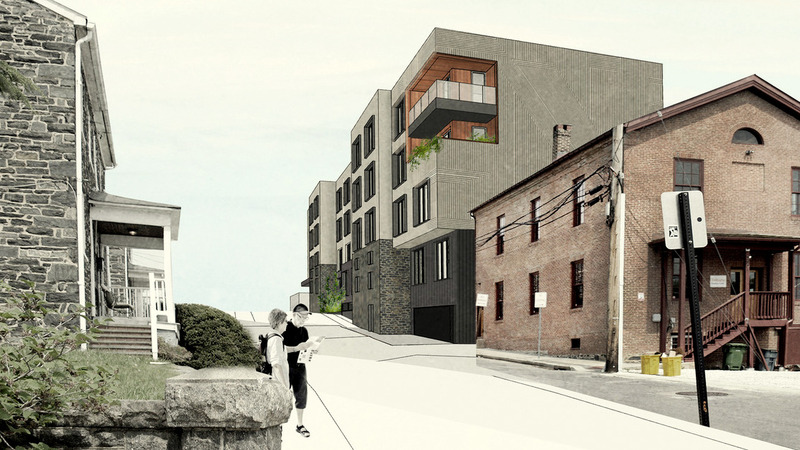 Noting the proximity of the proposed building to the edge of the street, Ostovar suggested creating something porch-like to echo the theme of the residential structures across the street. 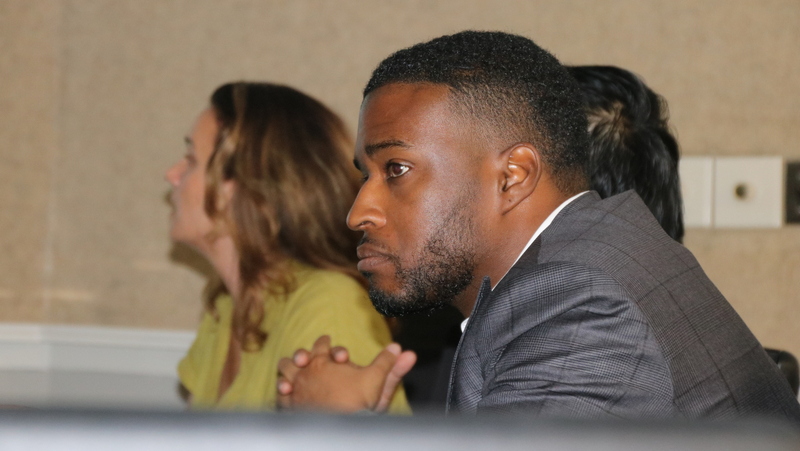 Mfume is scheduled to present his plans on June 19 to the Woodberry Community Association.